You are the best!!!!!! I miss you and think we need to have dinner together. Enjoy the time Dave is away by filling it with making art. 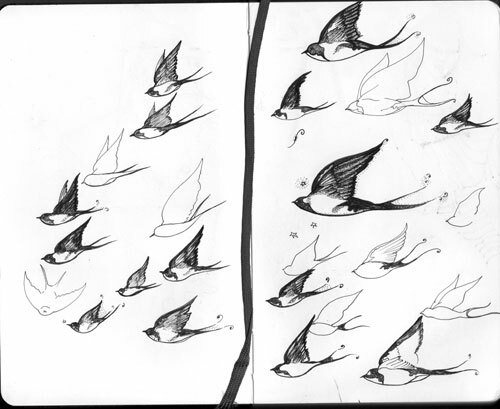 I love your swallow illustrations and the shoes too!!!! !